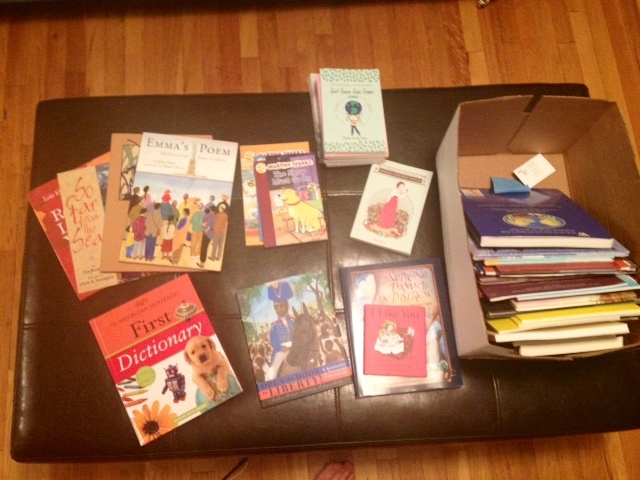 ESL – Literacy Changes Everything! As a teacher of reading and writing, I have always required that the scholars in my classes use their eyes, ears, and conversational voices on a daily basis in my classroom. But why have I limited my students access to literacy to only the head when they have whole bodies that can be engaged in learning? I never questioned myself in this way until the present school year, in which I enrolled in year-long professional development course offered by Very Special Arts of Massachusetts (VSA) and the Boston Public Schools. The course was facilitated by two highly accomplished arts integration specialists, both of whom are faculty members in the Creative Arts in Learning Program at Lesley University: drama pedagogue Marianne Adams and dance therapist Priscilla Harmel. The program consisted of several components: monthly meetings with our cohort of teachers, online assignments and reflections, curriculum development and implementation, and an on-sight visit from one of the facilitators. t one point during our very first meeting, a full day session at VSA’s beautiful downtown art gallery and community space, I found myself wrapped in several colorful scarves, dancing and playing drums with a group of teacher-artists I had never met until that day. Our goal was to explore the immigration experience through enacting Adrienne Rich’s poem: “Breaking through Illusion”. I love poetry on its own, but the joy and engagement of performing works of literature with my classmates was something I needed to share with my middle school ESL classroom. Luckily, the facilitators not only promised but required that I would be doing just that throughout the school year. Our subsequent meetings took place in the evenings at the Curley School in Jamaica Plain. At each three-hour session, we not only discussed our progress in implementing arts-based curricula in our classrooms, but we also spent a large part of the time learning and performing whole body arts integration techniques. I learned so much from the interaction with my co-teachers during these sessions. The class was a mix of arts elective teachers and classroom teachers, and this was a very nice juxtaposition to have in the group. The arts teachers were able to present many creative resources and ideas, while the classroom teachers were able to offer insights on the connection to literacy. During the VSA Saturday session, we learned how to use lines from a text to create a script for ensemble performance. I utilized this “script from text” strategy to create an assessment piece of my intermediate and advanced ESL class’s unit on Civil Rights. My students had just finished reading Walter Dean Myers’ Malcolm X: By Any Means Necessary, and we were about to embark on a close reading of the excerpt “Learning to Read” from The Autobiography of Malcolm X. After reading and discussing “Learning to Read” together, I asked students to pick two or three lines that they thought were most important, explaining that I would use the lines they had selected to develop their parts for a performance piece. After a few rehearsals, our class held a special presentation of our dramatic reading piece for other classes in our middle school. This performance was witnessed by Boston Public Schools New Teacher Developer Crystal Haynes, who also happens to be one of the hosts of the local television show “Extra Help”. She offered for our students to present the “Learning to Read” dramatic reading piece on television and for them to spend an hour on live television, fielding questions and informing viewers about Malcolm X. On a cold Tuesday in March, I took a group of students to Roxbury Community College to record the show. It was especially notable that Roxbury Community College is located on Malcolm X Boulevard, not far from the house where Malcolm once lived with his half-sister. The students did incredible work with the performance, and the repeated readings of Malcolm X’s writing also served to build their reading fluency. Following our unit on Civil Rights, our class traveled far further back in time to study classical and world mythology. Although I had incorporated drama into the previous unit, our VSA instructor Priscilla Harmel pushed me to think about how to incorporate movement into the mythology unit. Priscilla encouraged me to plan a movement lesson on a day that she was available to come in and support me in teaching. 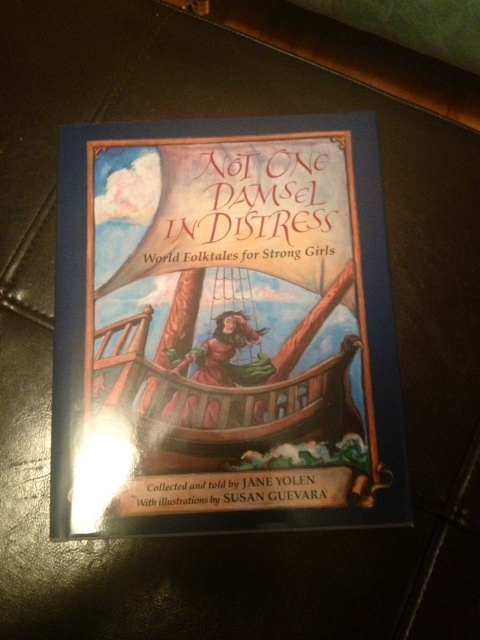 I adapted a movement lesson from a book recommended to me through the VSA course: Strategies to Integrate the Arts in Langauge Arts by Jennifer M. Bogard and Lisa Donovan, an incredible arts integration resource guide published by Lesley University. 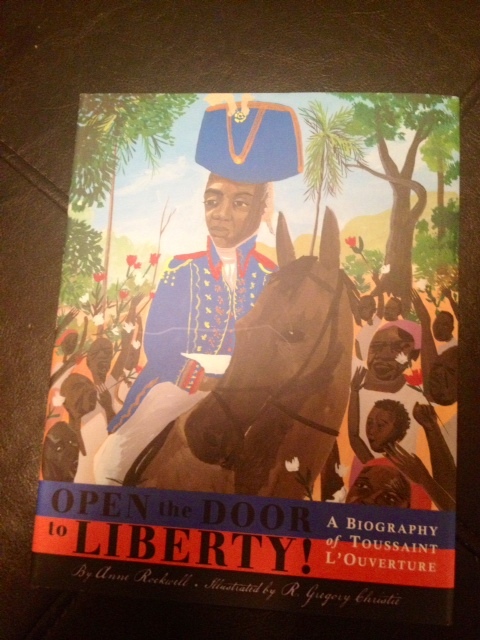 The lesson, titled “Moving Statues”, focused on having students identify and then embody action verbs found in a text. For the text, I chose a selection from D’Aulaire’s Book of Greek Myths in which the epic Greek hero Heracles slays the Nemean Lion as part of his labors that atone for the murder of his wife and sons. Heracles is a muscle man, known more for his brawn then his brain, whose uncontrollable temper often gets the better of his good intentions. As we read and discussed the selection together, I modeled identifying action verbs in the text. Priscilla assisted me in having the class act out the action verbs using dramatic movements, and she helped me introduce movement vocabulary. Priscilla also encouraged the students to think not only about the verbs and the movements connected to them, but also about Heracles’ intentions as he performed the actions described in the text. She repeatedly asked the students why they thought Heracles was doing what he was doing and how the intention would effect the movement. Following Priscilla and I’s co-taught lesson, I assigned students to groups and given a text from one of Heracles’ labors. I provided them with a three column graphic organizer: verb, intention, and movement to use as they read through the text and planned a presentation in which they would read the text aloud to the class and act out several of the action verbs. I provided the students with one class period to prepare the pieces with their groups, and I was truly amazed by the focus and dedication that I observed during the rehearsal period. I did not have to redirect a single student, and I was able to confer with all of the groups and respond to their inquires. The students were 100% focused and engaged on planning their piece. Following the performances, students were given a vocabulary quiz on the selected words, and all students received grades of 90 – 100%. I saw a huge pay off with the dramatic performance and action verbs activities as students began writing diary entries from the perspective of Heracles and preparing to present their writing to students in other classes. Students revised their diary entries after examining several selections from the diaries of Anne Frank and examining how Anne develops her character through sharing her thoughts, feelings, words, and actions with the reader. As students revised, I encouraged them to think about the ways that Heracles moves in order to develop their descriptions of his actions. The combination of embodiment, visualization of movement (through watching their peers’ performances), and deep examinations of the writing techniques used by another diarist engendered sophisticated and unique diary entries from the students. My friend Theseus stood there before me and he stretched out his hands to clasp mine own fresh bloodstained hands. Meaning he would become defiled and have a part of the blame and guilt. ” I know this”, Theseus answered. ” your sorrows reach from earth to heaven”. Does he not see what I have done. How I should not be forgiven. Not to mention how everyone will look down on me for killing my beloved family. I sat in a chair and cried. When I was in Delphi I went to see the Oracle of Delphi. I really was sad for the loss of my wife and my kids and even though the people of Athen said to me that it wasn’t my fault but the gods, I still feel responsible and I can’t forgive myself. When I got to the priestess and told her what had happened with my wife and kids and she looked at the situation just like I did. She said to me that I needed to be purified for my crime and only a terrible punishment can do that so she sent me to my cousin Eurystheus, the King of Mycenae. I said to myself “I knew it, I knew that I deserved punishment for the killing of my family.” The oracle said that he would give me my punishments. So there I was in Mycenae kneeling before my cousin, ready to become his slave and accepting the punishment he is going to give me. My second labor of punishment was to kill the Lernean Hydra, a snake with nine heads, and lived in the swamps of Lerna. Even though I was the strongest and bravest man in the world, I was pretty nervous about this beast, but then I thought, what are the women going to do when they find out that I, the mighty Hercules is nervous about going out to kill the Lernean Hydra? This monster was so poisonous that the fumes from its breath alone were enough to kill whatever came close to it. When I heard these news, I said to my family, “ You better hope that nasty little critter doesn’t kill me with the fumes of its breath.” So I went off. While I was walking through the swamp, I suddenly stopped. I was scared. And, when I turned to my right, there it was, just waiting for me. And, I said to myself, “ Here goes nothing.” So I filled my enormous lungs with air, held my breath, and ran at the Hydra. Swinging my club, I knocked off the Hydra’s heads, and one after the other they rolled to the ground. Here’s what really put me in shock. But no sooner had I knocked off one head then a new one grew in its place. So I half turned around and let out enough air to call to my charioteer to bring a firebrand and sear the necks. Then no new heads could sprout. What really made me mad, was when Hera saw that I was winning over the Hydra, and she sent a giant crab to pinch my heel. So with a mighty kick, I sent the giant crab flying as I knocked off the last of the heads. Then to finish up, I dipped my arrows in the Hydra’s blood, making them so poisonous that a mere scratch from them was deadly. After, I returned to Mycenae and said to myself, “ Thank god it’s over.” My second labor performed. For the final presentation of the unit, students were instructed to select their best diary entry to perform for students in other classrooms. After two days of preparation, including a session of critical peer feedback, I organized students into small groups and they were sent to my colleagues’ classrooms to perform for their peers. Each student claimed to be the REAL Heracles, but only one students from each group could be chosen by the audience as the REAL or most convincing Heracles. After the presentations, all students received candy and celebrated together, and the most convincing “Heracleses” received large plastic Easter eggs filled with candy. 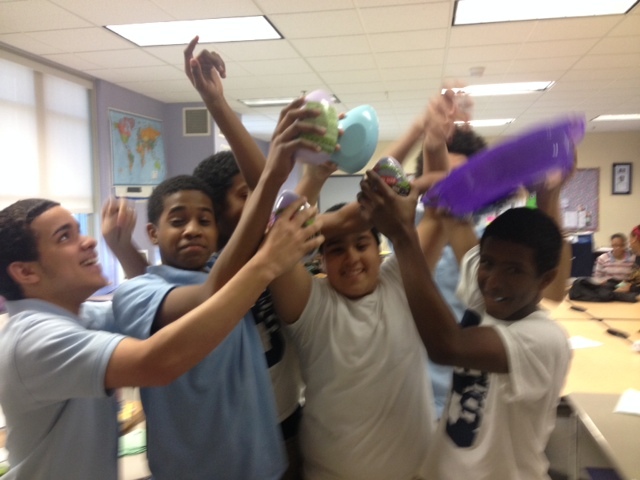 Winners of the “Who is the REAL Heracles?” contest hold up their prizes like trophies. A great day of celebration! Although participation in the Very Special Arts “Embodying Literacy” course was a lot of work, it was completely worthwhile. 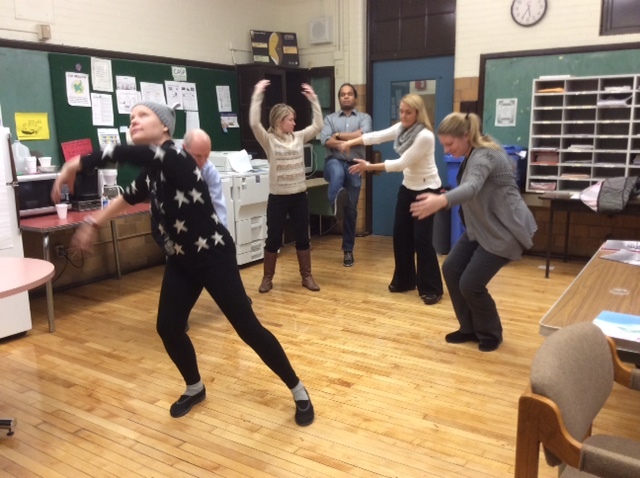 First of all, the monthly meetings provided a wonderful outlet for teachers to get together and embrace their creativity as well as learn easily implemented whole body instructional techniques. Secondly, completing the projects for the course pushed me to design better curricula for my students that allowed them to use all of their senses to engage in learning. Not only did the results pay off in terms of increasing the job and engagement in my classroom, but students improved their scores on standardized reading examinations, homework completion, and typical schoolwork. Using the arts served to motivate and engage students in our work, and the performances provided students with a huge incentive to make sure that the prerequisite steps were all completed – or else they would risk being unprepared in front of an audience! Finally, the projects that I required for each unit pushed for students to do open-ended, higher-order thinking tasks. For example, there were no right answers for selecting the most important lines from the “Learning to Read” piece, yet I did require students to explain and justify their choices orally and in writing before I included them in the script. This developed their persuasion skills as well as their attention to the text. Additionally, the embodiment pieces allowed students to explore verbs by creating movements to fit the vocabulary as well as the context or usage of the words. This required for students to synthesize their understanding of the words’ meanings in isolation as well as in context. I will continue to push myself to embrace drama and whole-body movement in the classroom for future units. 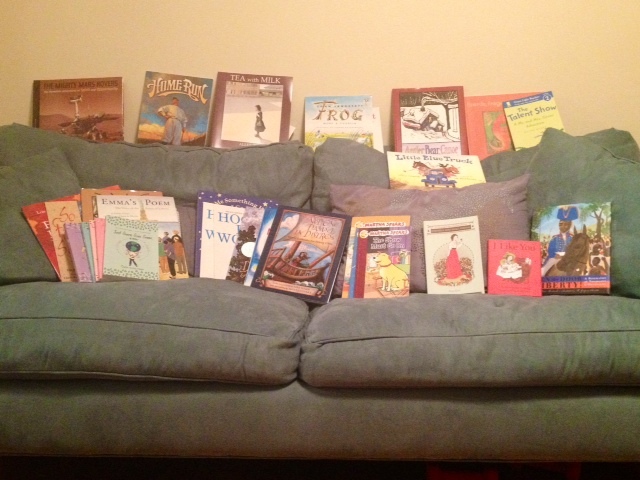 The Very Special Arts “Embodying Literacy” course was truly a source of inspiration, and I am sad that it is over! I absolutely love receiving REAL mail. Mail that’s not advertising anything or informing me of my financial accounts. So, I got a little spark of excitement when I spotted a handwritten envelope in my mailbox at school. 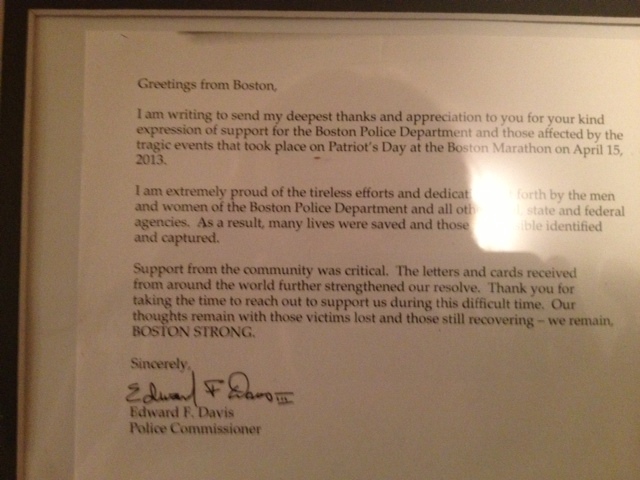 When I finally opened the envelope, it was something I never expected to see: a card from Boston Police Commissioner Ed Davis and an official Boston Police badge. 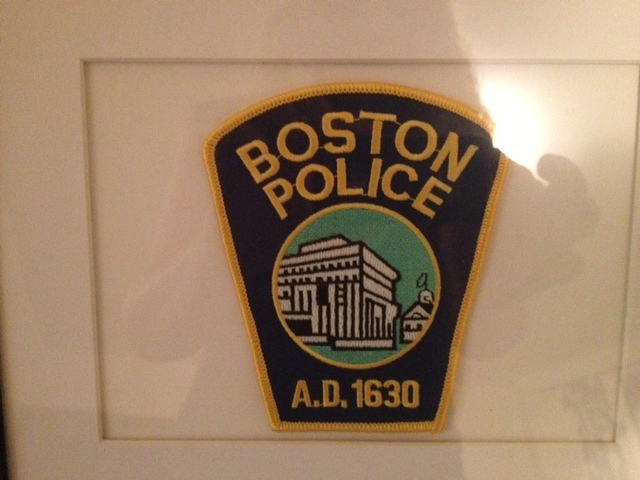 The card contained a thank you note for the written community support that the BPD received following the bombings at the Boston Marathon and the events that followed. 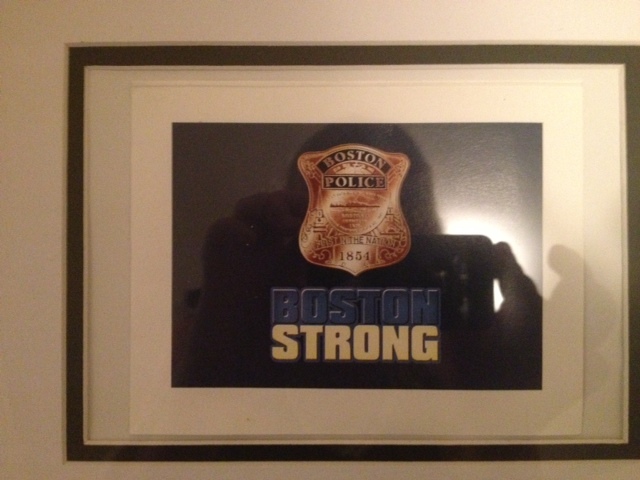 It is intended for my ESL students from the 2012-2013 School Year, whose publication Being Bostonian: How We Make Boston Strong was written for and mailed to the Boston Police shortly after April vacation last spring. 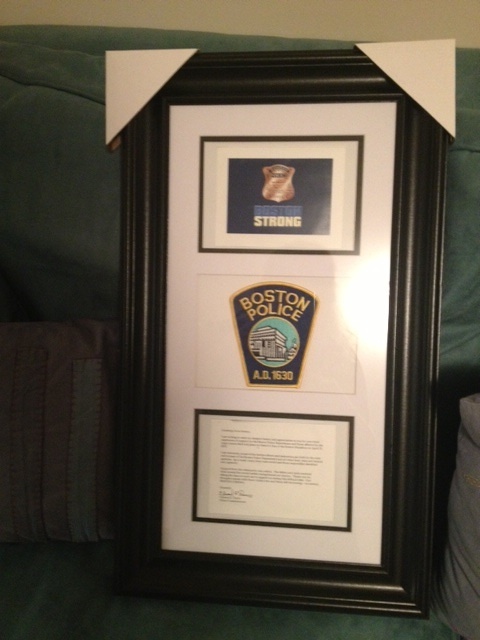 My husband kindly and beautifully framed the card, letter, and badge, and I will present it to my students tomorrow. I am so proud of them, and I know they will be excited that their publication was recognized. I just spent quite a bit of time on my syllabus for the ESL class that I will be teaching this year. I am quite proud of this achievement as this is the first year in my seven years of teaching that I have created a fully bilingual syllabus with images as well as with space for parent and student two-way communication (as recommended by the National Board for Professional Teaching Standards). Although my Spanish is not cien por ciento perfecto, I think it does get the message across to my families. Please feel to download and modify the bilingual syllabus and parent form as you wish! In a recent comment on the post “Letters to Malala Yousafzai”, veteran teacher Amethyst asked about lower lexile texts for ELL students. Adapted texts are a valuable resource to ELL teachers as they allow for us to convey grade-level content to our students with comprehensible language. Although I have found decent adapted or modified texts on the subscription sites Achieve3000 and EdHelper.com, these sites do not offer texts on more current events nor do they provide articles on the more controversial or deep topics that peak my students’ (and my own) interest. I have found that it is sometimes easier to simply adapt authentic texts myself, rather than wade fruitlessly through the depths of a search engine. In preparing adapted texts for ELLs, I have found the guidelines in this article from the Texas Education Agency (TEA) extremely helpful. 1. 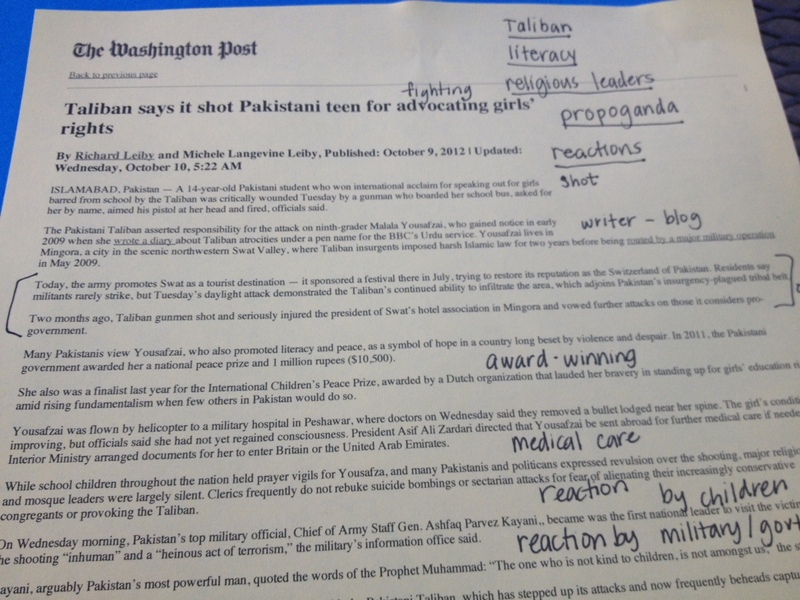 Identify main ideas and key words in the original article. 2. Use a clear topic sentences followed by supporting details. 4. Simplify grammar and vocabulary. 6. Clarify by giving examples or giving the meaning of a word in parentheses. 7. Make the text easier to look at by using bold headings and larger font sizes. I would also advise adding some graphics and some words for discussion. Since it is summer and my text adaptation skills are a little rusty, I created a sample adaptation. I began by printing out, reading, and marking up the original article. I marked the main topics of each paragraph or section and also wrote some ideas for key vocabulary words. Next, I used Microsoft Word to type up my own adaptation of the text (click the link to download it). The most time consuming part was thinking about the paragraph organization and headings. Although it does take some time to adapt a text for ELL students, it is worthwhile to create an engaging text appropriate for your own students’ levels. Also, by the time you introduce the text to the class, you will be very prepared for your lesson because you will definitely have familiarized yourself with the content.